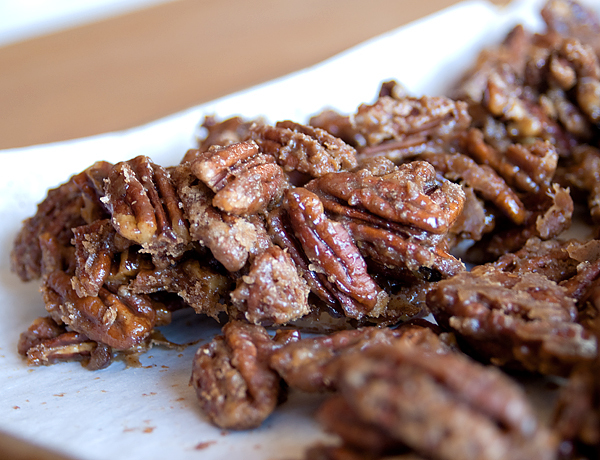 Put pecans in a medium bowl. In a small bowl, combine sugar, and spices. Add to pecans and mix. Pour cream over top and mix well. Spread onto a parchmented cookie sheet. Bake for 20 minutes, stirring half way through.